So You Wanna Be A Cop? Stop NTOA: Don't make Louisville a warzone! 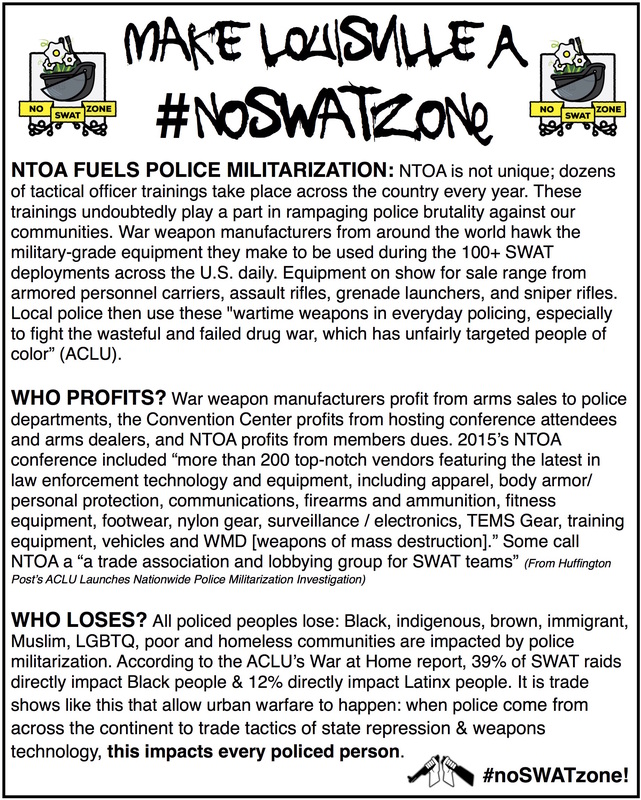 Grassroots and community groups from across Louisville, KY and around the country demand an end to the militarization of our communities and police “warrior mentality” regenerated by 2016 National Tactical Officers Association Conference. As part of the growing movement against militarization and policing in cities everywhere, War Resisters League, Louisville Showing up for Racial Justice, Stand up Sunday, Black Lives Matter Louisville, Veterans for Peace Local 168, Louisville Fellowship of Reconciliation and Louisville Peace Action Community are continuing our fight by calling on decision-makers to reject NTOA for good! 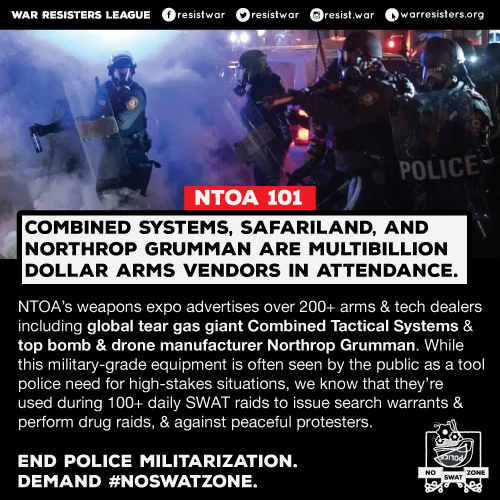 Sign this petition and hit us up to join our coalition of anti-militarist and community organizations, in demanding that NTOA end its training of SWAT teams from around the country, and indeed, the globe. 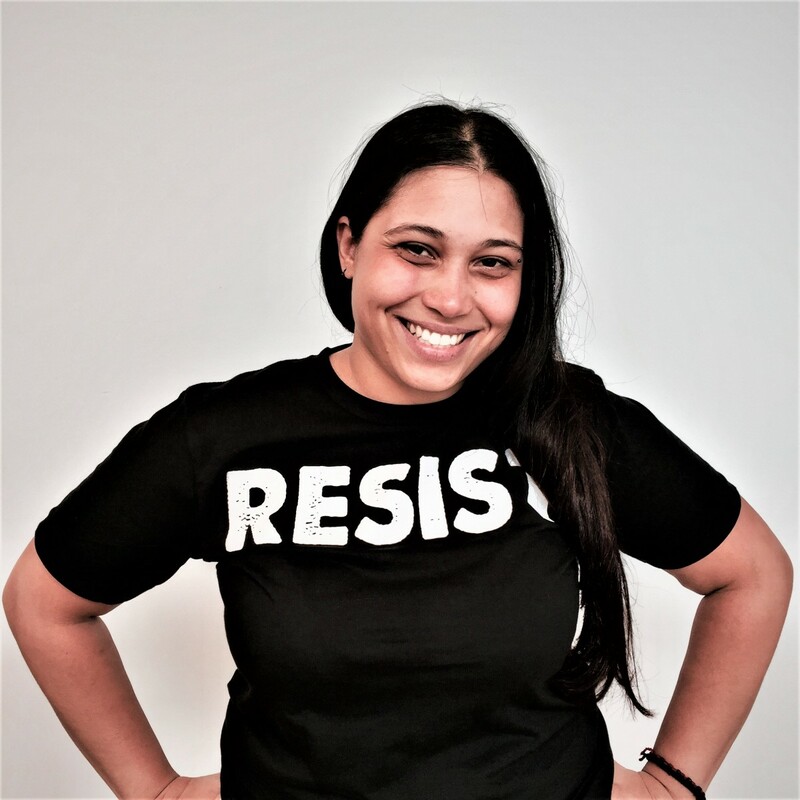 Louisville SURJ's video on the local action Louisville activists did on August 17th at NTOA! 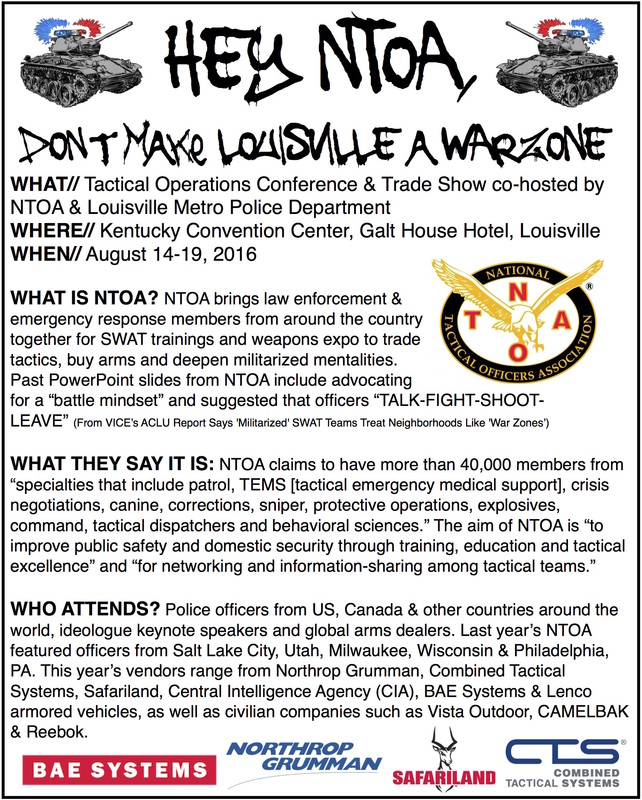 Need more information on NTOA?